The Los Angeles County Metropolitan Transportation Authority (MTA) has received the green light from the Federal Transit Administration to proceed with preliminary engineering on the Westside subway extension destined for Westwood. The federal agency also approved the regional connector underground light rail that will link the Gold, Blue and upcoming Expo rail lines. In a Jan. 5 statement, Don Knabe, Metro board chairman, called news of this double approval a hopeful “prelude for the FTA partnering with Metro.” The funding of multiple L.A. County rail line projects at one time is unprecedented, but Knabe feels that the FTA’s decision to announce approval for both projects may be an indication that this will change. 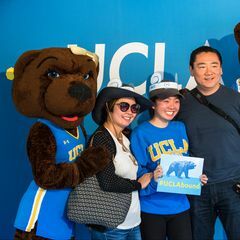 Across the nation, competition for federal funding is incredibly fierce, but the Westside extension will also draw from the pool of funds derived from Measure R, the transportation sales tax increase which L.A. County voters approved in 2008. 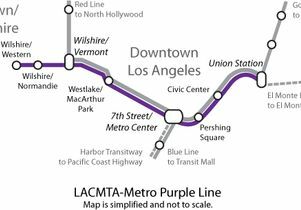 Under Metro’s original plan the Purple Line would not reach Westwood until 2036; however, certain FTA funding scenarios now place completion of the subway extension as early as 2024. In one of Metro’s own accelerated plans, the extension could be completed by as early as 2022, depending on the availability of funds. Recent cost simulations and risk assessments made by the MTA revealed that the Westside expansion, if completed by 2022, will cost around $5.34 billion.